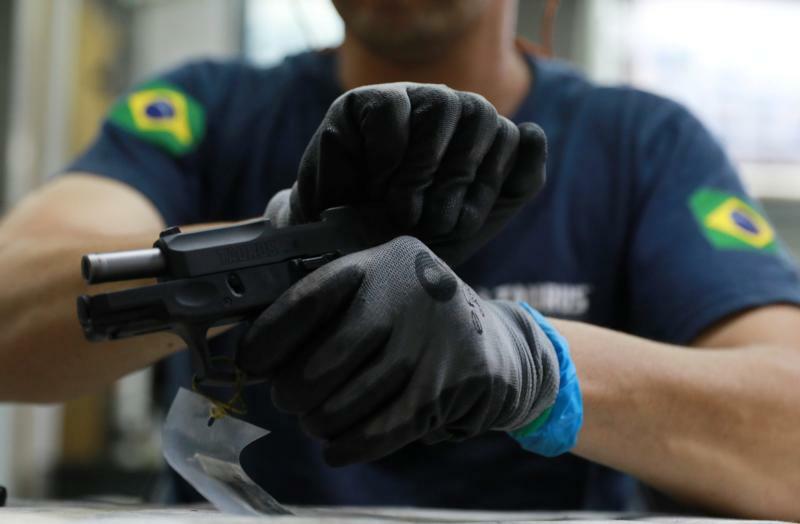 SAO PAULO (CNS) — Brazilian President Jair Bolsonaro signed a decree in mid-January making it easier for Brazilians to purchase firearms. The decision sparked criticism from several groups in Brazilian society, including some in the Catholic Church. “A firearm is an instrument of death. What we seek is peace,” said Father James Crowe, known in the Jardim Angela neighborhood of Sao Paulo simply as Father Jaime. “It is still high, but much lower than it was,” he said. “We were one of the few regions in Sao Paulo that voted to ban guns altogether,” recalled Father Jaime. Now, he said, people are once again scared of the possibility of increased violence because of the new decree. “They are very worried that a mere traffic confrontation may lead to death, if one of the drivers has a gun,” he said. “The president said now firearms would be available for the ‘good guys’; but who are the ‘good guys’? What qualifies one to be one of them?” Father Jaime asked. After 32 years living in Jardim Angela, the priest, originally from Ireland, is wary that the “shoot-first-ask-questions-later” mentality will increase among residents. Archbishop Murilo Ramos Krieger of Sao Salvador da Bahia, vice president of the Brazilian bishops’ conference, said the problem lies not in any decree or law but in the lack of monitoring. “The issue of public safety, yes, is serious and urgent. But let’s not forget: We do not solve complex problems with simple answers (or proposals),” he said.